Recently I've been working on a program that adds in a "clustertruck" type interaction from twitch chat into the game. The concept is simple: every X amount of time text appears on the top of the screen in game, said text will have 3 options. Chat can then vote on which option they want to execute. 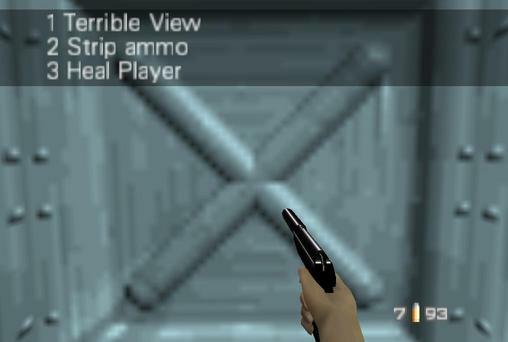 for instance, if the majority of the votes are '2', the player's ammunition will be stripped. In case of a tie, the first option with the most votes will be executed! This program was designed with the carnivorous branch of the 1964 emulator in mind, and as of now, is the only emulator this program will work on. Make sure VAMMemory.dll is located alongside the exe for the program to work. If you want to put in new credentials for the program (different account, OAuth, or channel), just delete Config.cfg from the folder.